If you’re a beauty lover and have $5 every season or $20 a year to spare I highly recommend reading through this review! I found out about Walmart’s Beauty Box about 2 weeks ago and couldn’t resist signing up because it was so affordable! 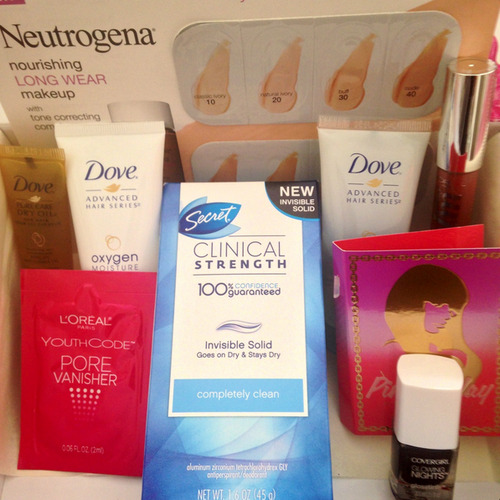 Walmart will send out beauty boxes each season, and this Fall Box is their first. The box is only FIVE DOLLARS A SEASON – and the price is just for shipping, the actual box is free! I wasn’t sure what to expect in my box but was highly impressed with the results! 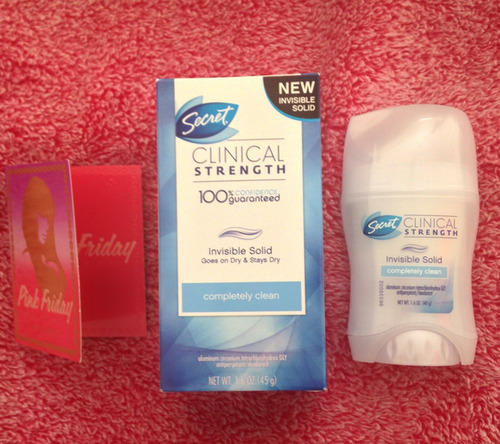 I saw most people receiving the first variation of the box, which included a Covergirl Lipstick, Secret Deodorant, Juicy Couture Fragrance Sample, Clear Shampoo + Conditioner sample packets, Olay Regenerist Micro-Sculpting Cream Moisturizer sample, and a L’Oreal Revitalift Triple Power Deep-Acting Moisturizer sample! I was excited but a few days ago I noticed a few ladies had received a different variation of the box which is the box I received! I was much happier with the contents of the second variation! Just one glance at the contents shows how it was a great deal for just 5 dollars! I won’t be using this card since I’m happy with the foundation I currently use but I’ll definitely pass this along to a friend! I’ve never tried this product before so I’m glad I’ll be able to test it out and see how I like it! I’ve never used this fragrance before and it smells good so I’m definitely pleased to see this in my box! Another product I’ve never tried before! Not sure if I’ll be using this since I have a few Toms Deodorants ahead of the line but I’m sure I’ll be able to find it a home! 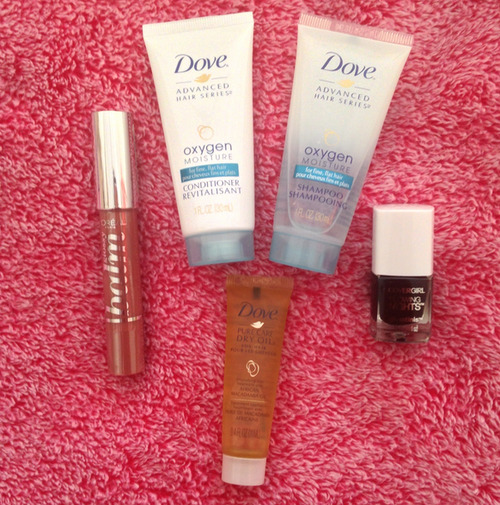 Not sure if you could tell, but I saved my favorite products for the last! I was so glad I got a shade I will be able to use! I’ll definitely be using this a lot! Dove Oxygen Moisture Shampoo & Conditioner – 1 oz – $0.82 for both? I’ve received samples of this set before but I was still happy to see them in my box! I think these are perfect for when I go travel! I saw this product in some Influenster Voxboxes a while ago and read some good reviews so I’m excited to try this oil out! I love love love nail polish so I was happy seeing this in my box! I am definitely a happy camper because my box was well worth over $20 when I only paid $5! It’s a GREAT deal and I’m looking forward to the Winter box! 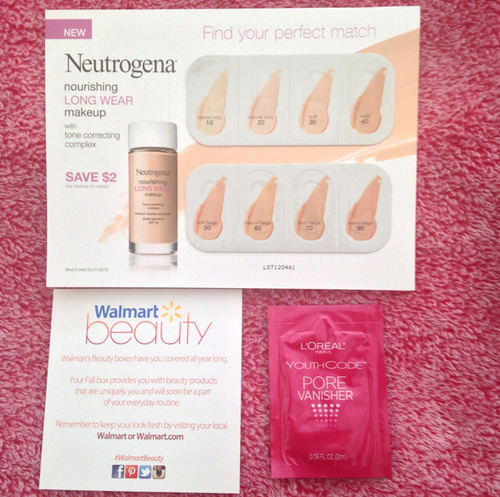 If you want to sign up for the Walmart Beauty Box, you can do so here! Have you ordered this box or plan on ordering it? What are your thoughts on the Walmart Beauty Box?